Vevella vevella are also called “by-the-wind sailors.” The small creatures utilize clear, triangular sails to travel across the surface of the ocean, drifting where the breeze takes them. Brought ashore on the tides, the “sailors” are forced to become land-lubbers. Stranded…they lose their navy blue color and die. 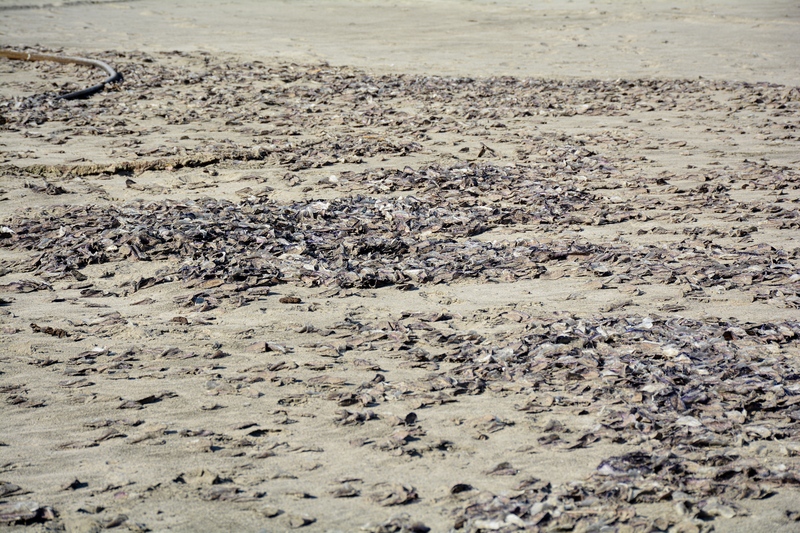 Thousands of organisms experience the fate of death. 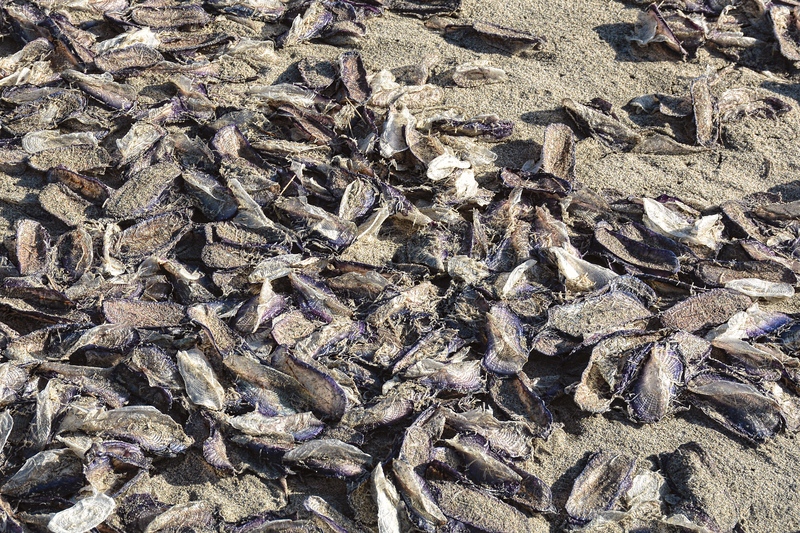 Collectively, they create an enormous “dead fish” smell as they turn flaky and white. 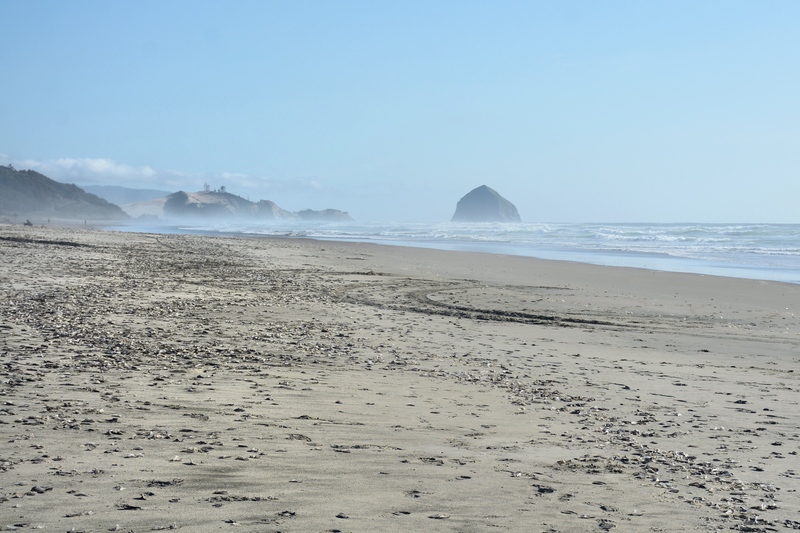 For a short time, the Oregon Coast is a testament to the prolific nature of Vevella Vevella. These photos do not show them floating in on the waves. 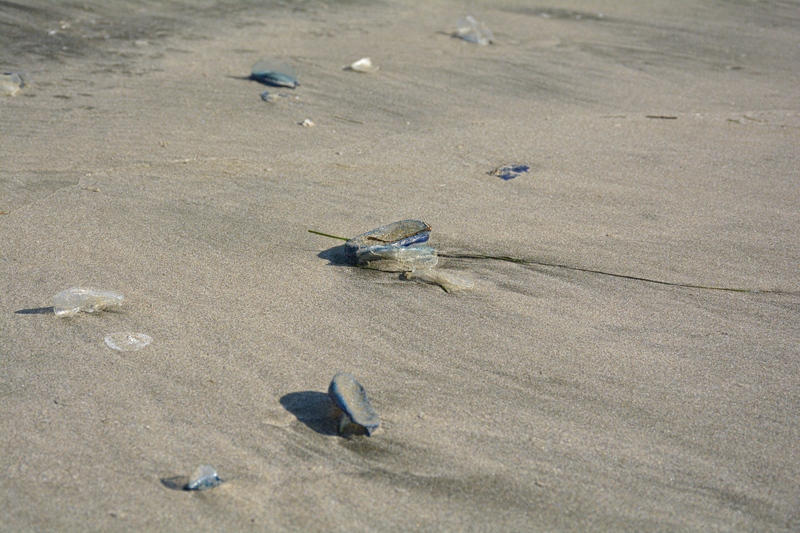 You will need to imagine a “blue tide” that they create when first washed ashore. I was amazed at how many were on the beaches at Lincoln City! It’s amazing how widespread their distribution across the seas is! We often have them washed up after storms here in the Cape. 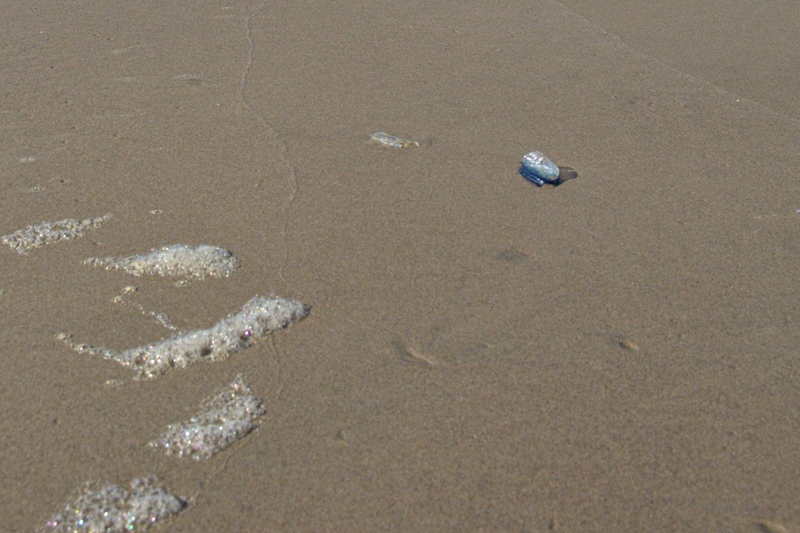 For one moment there, Jane, I thought it was ‘our’ bluebottle (Portuguese Man’o’war), but a different stinger altogether! I remember seeing these on beaches. Never really knew anything about them. Thanks for the info. And, yes, they are quite prolific at times. Perfect, if smelly, for the challenge, Jane. Oddly enough, another person posted a shot of these very critters for the challenge, the first I’d heard of them. I forgot to mention who it was, but you knew. How cool is that?!! I had never heard of these before. Fascinating!